7 Kids and Us: Eggo Bites for On-The-Go Back to School Breakfasts! 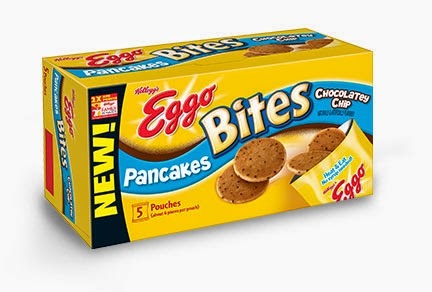 Eggo Bites for On-The-Go Back to School Breakfasts! During the school year, especially during the first month of school..it's hard to get up and ready to go. It's even harder to get the kids to eat something good for them, before they rush off to class. 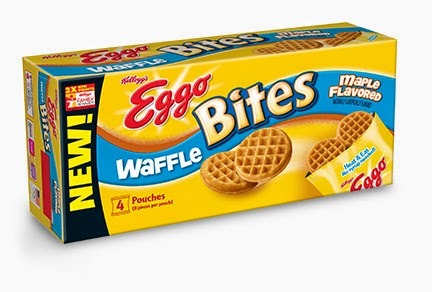 Eggo Bites™ Waffle - Maple Flavored are packed with flavor, so you don't need syrup. And you can heat'em and eat'em in their microwaveable pouch, making them the easiest Eggo® ever - for breakfast or a snack! Eggo Bites™ French Toast - Vanilla are packed with flavor, so you don't need syrup. And you can heat 'em and eat 'em in their microwaveable pouch, making them the easiest Eggo® ever - for breakfast or a snack! Eggo Bites™ Pancakes - Chocolatey Chip are packed with flavor, so you don't need syrup. And you can heat 'em and eat 'em in their microwaveable pouch, making them the easiest Eggo® ever. My kids had the chance to sample a few of the flavors and they were impressed! I love that they were ready to eat in about 60 seconds, and the kids can eat them on the way to the bus stop, and if they don't, they can always save them for lunch time. The Chocolate Chip Pancake Bites were definitely the favorite all around! The kids have been asking for them at all hours of the day, and its a great quick snack!